"Money is the most explosive element." When a team of terrorists take over a water filtration plant and start holding hostages from a tour group, only one man can stop the madness: police detective David Chase (Fahey, not the guy who created The Sopranos playing himself). He has to go up against not just the main hostage taker, the unbalanced Montessi (Coates), and his team of underlings with wacky code names such as Sparky (Dwyer) and Pogo (Potts), but the TRUE mastermind of it all, the sinister Turner (Busey). Luckily, Chase has a few tricks up his sleeve to deal with the baddies before they contaminate the water supply (he only has about four hours or so), and he has teamed up with Melissa (Moss), a plant worker, to save the day. It’s Die Hard (1988) in a water filtration plant (I just filled in the blank from our Crackerjack review). Off the bat, we know this is going to be an odd one. Starting with, believe it or not, some close-ups of Gary Busey's teeth as he talks to no one in particular, with some pounding music behind it, very soon we see something we know isn’t good: nefarious-looking men in overcoats and sunglasses walking in slow motion. Those have to be the bad guys. Kim Coates puts in a noteworthy performance as Montessi. He must have known he was doing the role many people have done before, so he tried to change it up. He has all these little jokes, strange vocal inflections and tics to try to put a spin on the “hostage taker” part. He does wave his gun around a lot, but he at least tried to do it differently, which is a good thing. Jeff Fahey has a cool jacket and cool hair, and generally just seems “too cool” for the supposedly urgent situation. We always like seeing him. Carrie-Anne Moss is on hand as the romantic interest/sidekick, and we don’t normally see her in DTV product such as this, so that was a nice change as well. Gary Busey is his normal, unhinged self, and from the bad guy team, Karen Dwyer as Sparky stands out from the crowd. However, this came out in 1997, meaning the influence of Quentin Tarantino must have proved too hard to resist for the filmmakers. For no apparent reason, instead of action scenes or plot points, characters just start talking about The Jeffersons and Good Times. That now seems somewhat embarrassing, and unnecessary. We don’t want pop culture references, especially apropos of nothing. We’d rather hear Jeff Fahey try to woo women talking about his brie omelets. (Don’t forget, we’ve already seen teams of men walking in slow motion that have code names...but I’m sure Reservoir Dogs never played into the equation here). 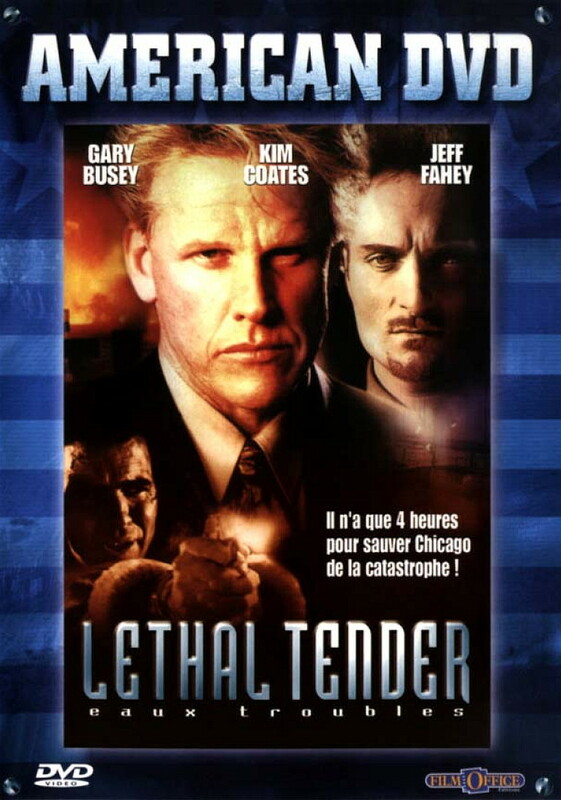 For a goofier-than-usual, shot-in-Canada DTV product, Lethal Tender (gotta love that title) is actually pretty entertaining. Sounds like fun and it's a great cast. Love me some Busey! It is a lot of fun. 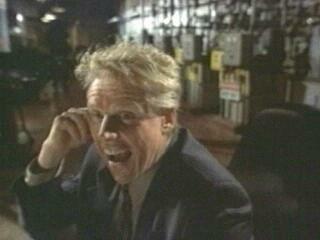 Busey is pretty wacky in it! This sounds similar to that Jeff Speakman film Open Fire, which was Die-Hard-in-a-chemical-plant, I enjoyed that film so i'll be sure to check this one out as well. Open Fire was pretty decent! Would be interested in your opinion of Lethal Tender. Gary and Lethal.....deja vu......loving it! It is a lot of fun, Marcus! Gary Busey is very silly in it. Wished he was in it more! So, it's the Lawnmower Man vs. Gary Busey. I'm in. Also, the greatest title of ever. 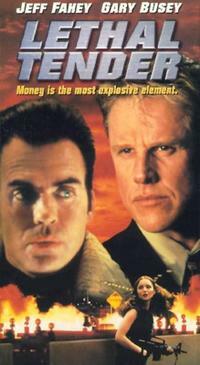 Fahey and Busey basically meet towards the end of the movie, but it is cool that they are in a film together. Also agree that Lethal Tender is a great title! I'll keep this on my radar when I need another Busey flick. Good stuff. Thanks! I think you will enjoy it for the silliness and Fahey\Busey factors. i don't know where else to post this since i can't find your email address. we're doing a die hard ripoff month, you know, all those die-hard-on-a-___ movies. i found quite a bit of movies but i'm curious if there's anything that i missed that should be included. would love to hear you guys' recommendations. good, bad, unforgettable, so bad it's good...etc. Sure! Thanks for thinking of us. We just sent some ideas to your blog! For example: No Contest with Shannon Tweed and Andrew "Dice" Clay. Big ups for using 'apropos'. Concerning the Jeffersons/Good Times bit - I am truly sick of the growing tendency to mistake being 'random' for being funny or intelligent. Totally agree, Michael. There is no need for random pop culture references in action movies, or most movies, unless it has a point. I have to say, I enjoyed this one, when by all accounts I shouldn't have. Pretty much nothing happens in this, but Kim Coates and Gary Busey don't care, they carried the whole thing. And they were on-screen enough to make it worth it. Totally agree with you. It was a fun Die Hard knockoff. I wish this Die Hard knock-off would get a DVD release in the States. It's such looney fun. Surprised it's not on DVD here. There's probably one in Canada though. Haha.